The Portland metro area is rich with bakeries and cafes that offer a daily menu of handcrafted, artisanal rustic breads and eye-popping pastries. 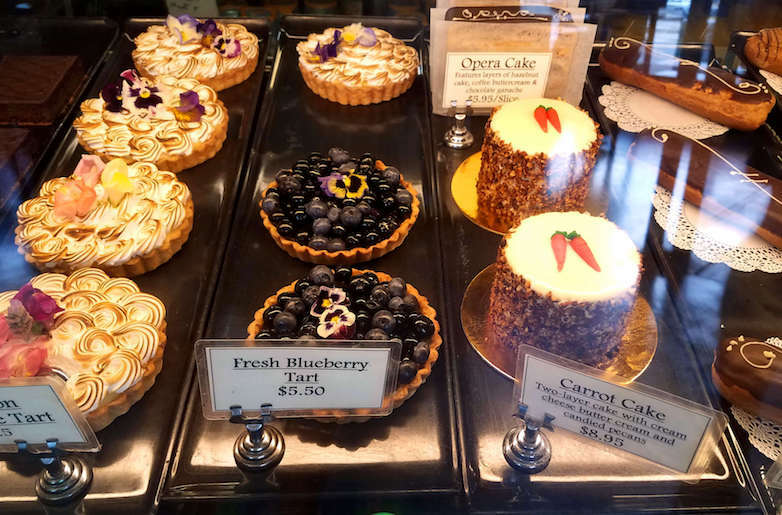 Some of the Portland bakeries, though, also put Oregon’s abundant farm products like fresh berries, local tomatoes, and grains to delicious use. 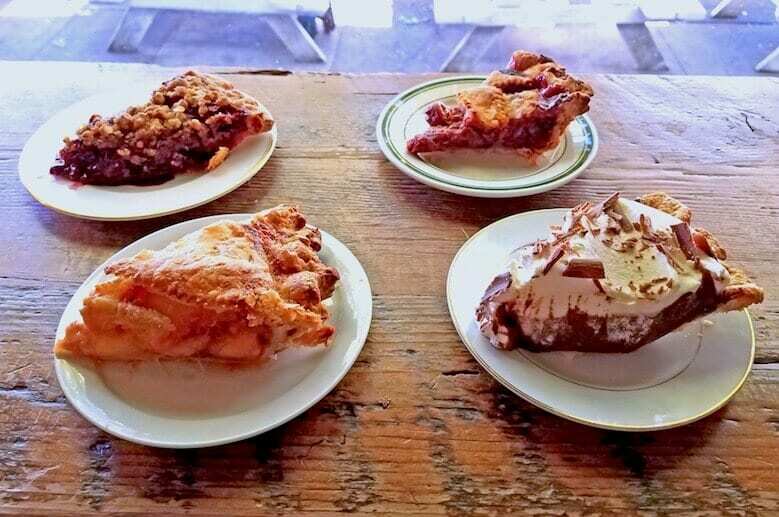 We’ve compiled a list of some of the top “neighborhood” Portland bakeries for whom local ingredients are highly prized. You’ll want to visit even if you don’t live near them — they’re worth the drive (or bus ride)! 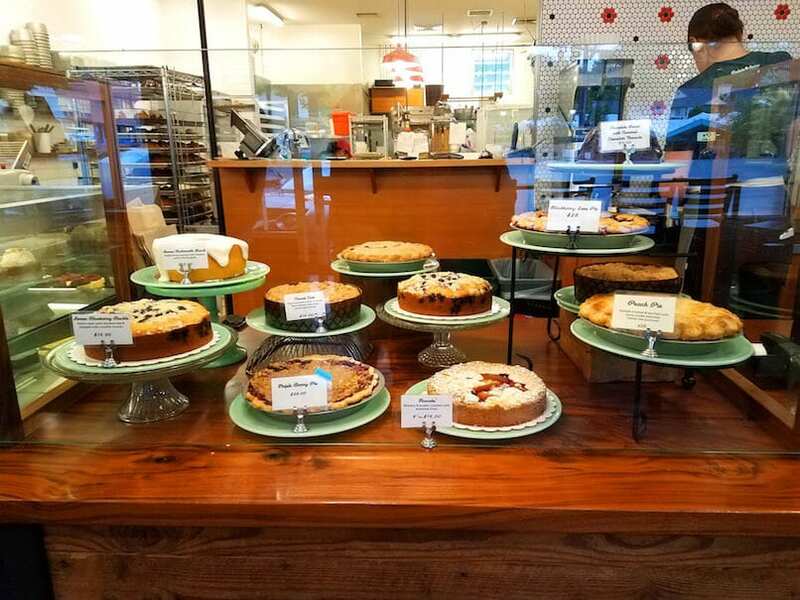 Owner and veteran head baker Julie Richardson opened Baker & Spice in 2005 in a little strip mall in the SW Portland neighborhood of Hillsdale. 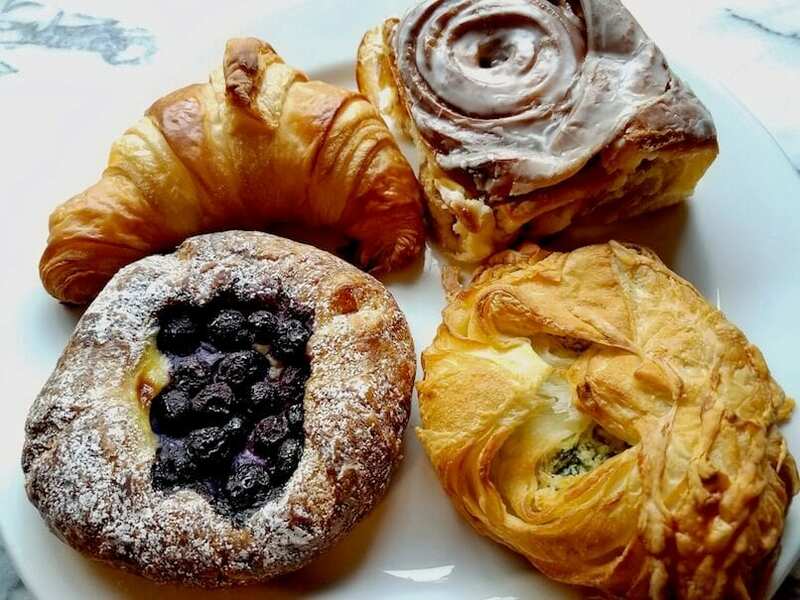 The small-batch bakery serves flaky pastries, seasonal baked goods and rustic breads. Customers queue up at a bakery case loaded with savory sandwiches like Ham & Gruyere Croissant, Ricotta Tartlets as re-imagined cheesecakes, buttery Teacakes studded with seasonal berries, and the Hillsdale loaf (a dense whole wheat levain topped with rye flakes and flax seeds). Everything is made by hand from scratch with premium European butter and Belgian chocolate, adding ingredients grown by friends at nearby farms, with the season in mind. Steps from Baker & Spice is their sister shop, The Cakery, dedicated to special order occasion cakes, baking wares, and a small selection of daily cakes by the slice to-go. In the heart of the Hollywood District, neighbors of Fleur De Lis Bakery and Cafe have been flocking to this French-inspired spot on NE Hancock since 2006. Owner-baker Greg Mistell has built a loyal following for his artisan French breads and flaky pastries. Previously the manager of Hollywood Farmers Market, Mistell still sources ingredients from local farmers he calls friends, high protein locally-milled flour and the essential butter from cows raised within driving distance. Breakfast, lunch and weekend brunch are handcrafted from scratch. French toast, tartine, benedicts, and for the vegetarian-leaning diner, a seasonal harvest bowl are menu mainstays. The bakery’s breads and pastries are routed to restaurants and cafes throughout Portland. On a recent visit, still-warm Cinnamon Rolls, tender Berry Danish filled with vanilla pastry cream and blueberries, and savory Spinach Ricotta Croissants filled the case. 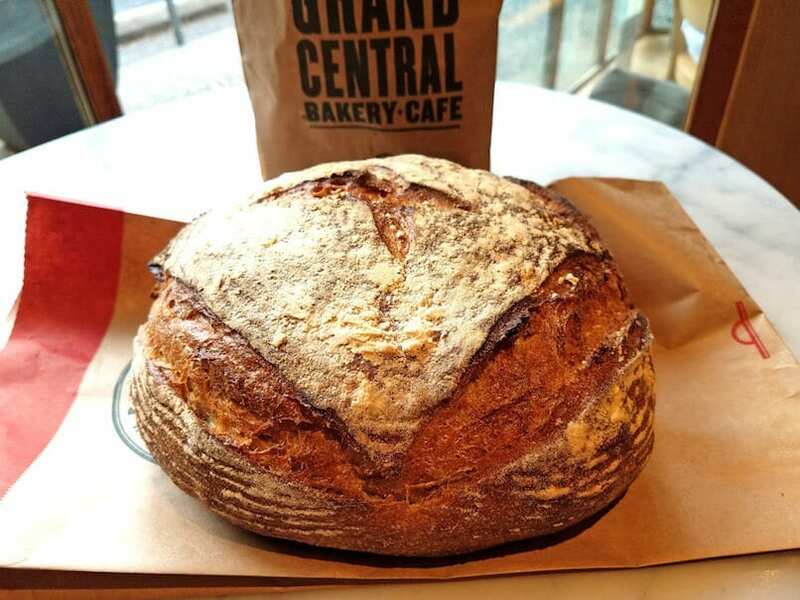 Known around town for their amazing bread, such as the signature Italian-style Como loaf, tangy Peasant Levain, and hearty, country-style Campagnolo (“Campy” for short), Grand Central Bakery is the distant offspring of Gwen Bassetti’s iconic first location in Seattle’s Pioneer Square. The first Portland outpost, located on SE Hawthorne, opened in 1993 by Bassetti’s son, Ben Davis, and has since multiplied times seven in neighborhoods across Portland metro. The cafe menu has a bevy of classic and seasonal sandwiches, like a Sausage Egg Biscuit made with house-made sausage on a fluffy buttermilk biscuit. And the pastries, oh, the pastries! Peach Frangipane Tart, Whole Wheat Chocolate Muffins (made with three kinds of Fair Trade chocolate), and crisp and caramel-ly Latte Dunker. To keep the love affair going, grab frozen ready-to-use products like pie dough, puff pastry, pizza dough, chocolate chip cookies, chicken pot pie, and apple or marionberry pie. Their local, sustainable sourcing recently earned them B Corp status, so customers can be confident their purchases are supporting an extensive roster of local businesses. Folks in NW Portland flock to Lovejoy Bakers for their daily breads, pastries and creative cafe sandwiches. Owners Marc and Tracy Frankel (who also own the Pizzicato Pizza chain) opened the Pearl District bakery location in 2010, and the Uptown Northwest location in 2016. Not sure what to order? Try the customer-favorite Lovejoy Deluxe Breakfast Sandwich: a fried egg layered with Oregon bleu, crispy bacon, frisée and tarragon vinaigrette on a house-made ciabatta roll. 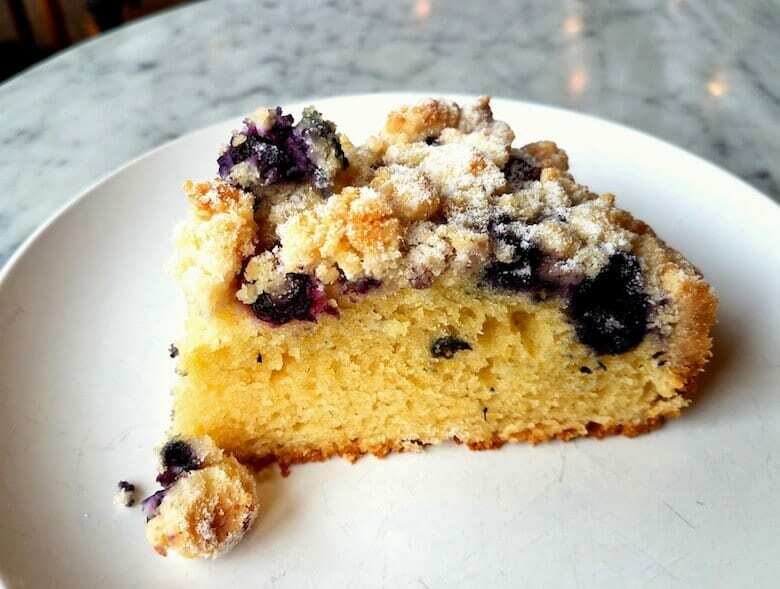 Grab a slice of the streusel-topped Baker’s Whim Coffee Cake studded with fresh raspberries and chunks of chocolate, fresh blueberries or fruit of the season. Don’t miss a special like the delicately-flavored Ginger Pear Almond Danish. Trying several allowed. Owner Ken Forkish opened his namesake Ken’s Artisan Bakery in the bustling NW 21st Street neighborhood in 2001. The busy French-inspired bakery turns out fresh pastries, dark-crusted rustic loaves, and classic sandwiches on their amazing bread. An elevated BLT is sandwiched between slices of lightly grilled Country Blonde with heirloom tomatoes, crisp Neuske’s bacon, and green goddess mayo. The dense and fudgy Valrhona brownie is chocolate perfection, and the Oregon Croissant is bursting with local berries and hazelnut cream. So good! Forkish has been nominated time and again for various James Beard Awards, such as with his popular cookbooks Flour Water Salt Yeast and The Elements of Pizza. Don’t worry if the bakery has a line. You’ll be happy you waited! Be sure to check out Ken’s Artisan Pizza on SE 28th, where farmers make daily deliveries of local seasonal produce for each day’s pizza offerings. 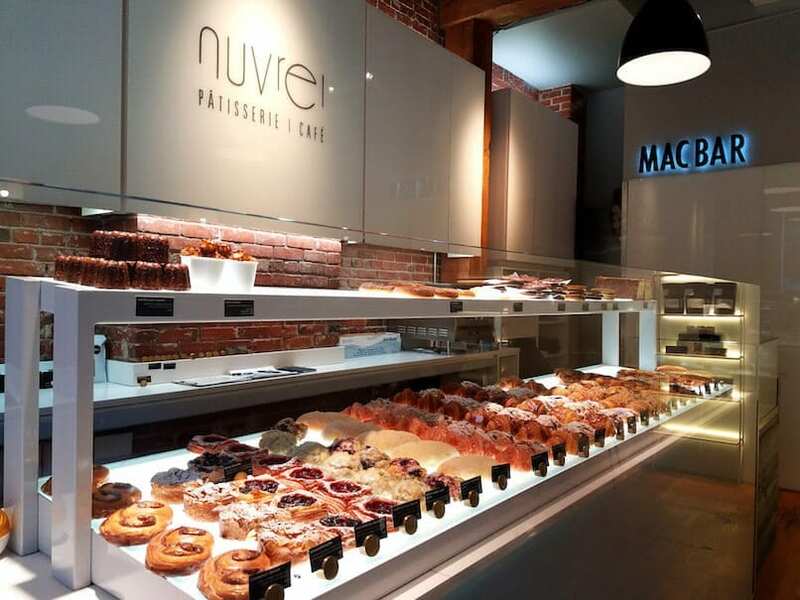 Owner/Pâtissier Marius Pop started Nuvrei as a wholesale baking business in 2004 before launching his small, French-inspired patisserie in NW Pearl District in 2011. The sleek modern space is the chicest bakery in town. There you’ll find jewel-like pastries, savories, and colorful macarons. The Lemon Poppy Seed Scone is tender, not-too-sweet and has a delightful lemony glaze. For something different try their signature savory, Kare Pan: a brioche bun filled with Japanese chicken curry or the Turkey Mauricette sandwich fashioned on a zippy cheddar jalapeno pretzel roll — perfect for a grab-and-go lunch. The chewy, flourless Double Chocolate Cookies are replete with Valrhona cocoa powder and dark chocolate chunks. Fans can even purchase bags of the double chocolate cookie mix to make at home. With demand for Nuvrei’s pretzel-style bagel outpacing kitchen space, Pop launched his new concept, Pop Bagel, serving the bagel as sandwich or with schmears, first at their to-go spot in Big Pink on SW Oak, and then an expanded cafe with seating across from the Nuvrei mothership on NW 10th. Venture far enough down SE Hawthorne Boulevard and you’ll eventually find yourself in the Mt. Tabor area where Tissa Stein’s Tabor Bread is located. The massive brick wood-fired oven and the locally-grown grains milled in-house are the stars of this quaint bakery. A lightly sour River loaf made with spelt and rye flours and the whole grain Red Wheat Boule highlight the bakery’s masterful use of heritage grains. All of the breads use naturally leavened sourdough instead of commercial yeasts. For lunch goers, the limited cafe menu offers sweet and savory options, including a grilled Pacific Ocean Tuna Melt sandwiched between layers of crusty White Wheat Batard. Weekend brunch features Eggs Benedict and Challah French Toast. 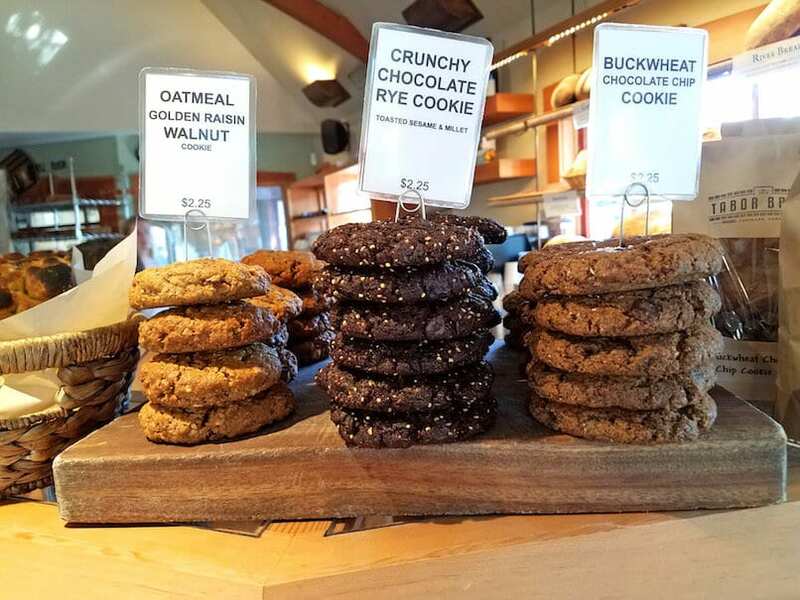 The bakery takes a not-too-sweet approach with stacks of cookies, like the Chocolate Rye Cookie dressed with toasted sesame and millet seeds, and a lightly toasted Red Wheat Biscuit served with creamy chèvre and honey. Home bakers will appreciate the 2-pound bags of freshly milled flour available for purchase. Interested in baking and learning about sourdough? Sign up to take one of their “breaducation” baking classes. Lauretta Jean’s started as a Farmers Market booth in the Spring of 2011 and soon grew to two brick and mortar locations. Owner Kate McMillen opened her first much-loved pie shop on SE Division in 2012 (there’s also a tiny corner downtown takeout location). Homey traditional pies and biscuits filled with local fruit of the season guarantee a pie flavor you’ll like. A few choices on a recent visit were Oregon Blueberry, Whiskey Peach (with a touch of Old Crow), Tart Cherry, and Blackberry Raspberry Streusel. A more substantial appetite will be satisfied by Biscuits and Gravy or other biscuit-built dishes. Wash it all down with an Irish Americano (spiked with Jameson Whiskey), a Mimosa or Bloody Mary. Just remember to save room for pie! Check their website for current flavors.